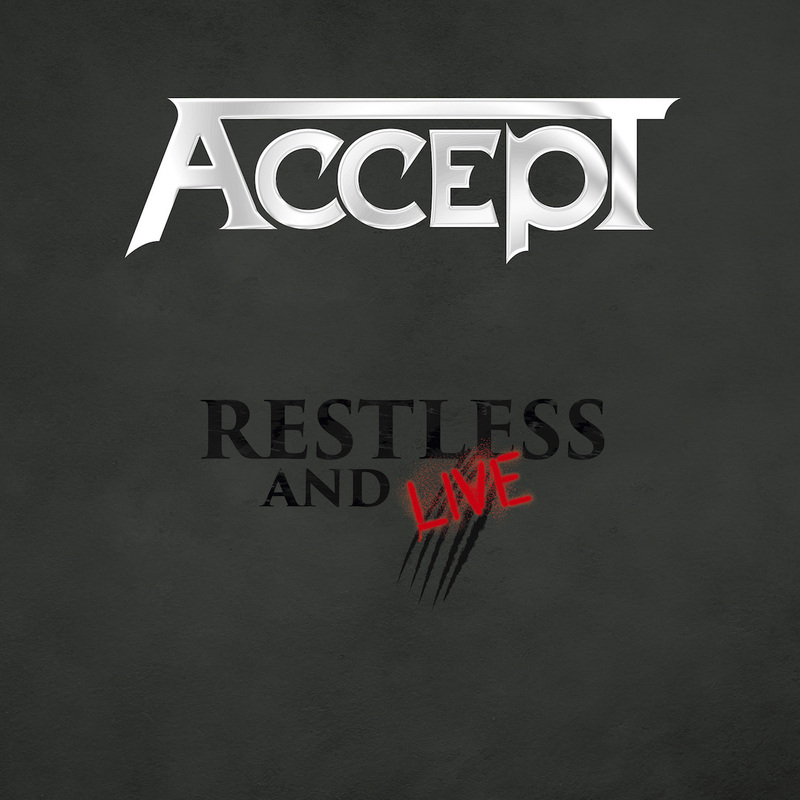 Following Accept’s three latest studio albums featuring vocalist Mark Tornillo, they have decided to deliver to the fans a live Accept experience – a CD/DVD combo titled ‘Restless & Live’. The combo consists of a DVD containing an 18-song set performed at the ‘Bang Your Head!! !’ festival in Germany in 2015, as well as two CDs retaining a total of 27 Accept songs, both old and new, recorded live during the band’s 2015 Europe tour in support of their latest studio album, ‘Blind Rage’. Beginning with the CDs, hats go off to producer Andy Sneap for creating such a clear and crisp sound from both indoor and outdoor performances. The sound is polished with just a few ‘live’ aspects to help create the live feel without compromising the sound quality of the album. Between both CDs, there are 27 songs which are predominately off the last three Accept albums, however Udo-era Accept is not omitted. Opposed to the DVD, the CDs include Udo-era Accept hits such as ‘Flash Rockin’ Man’ and ‘Living for Tonite’ which is sure to please any Accept fan. The DVD captures Accept’s high-energy performance as the headliners of the aforementioned ‘Bang Your Head!! !’ festival in 2015. For those who were unable to attend the festival – or any show on Accept’s latest tour, this DVD gives you a front row seat to see Wolf Hoffman, Mark Tornillo, Uwe Lulis, Christopher Williams and Peter Baltes perform at one of their most notable shows within the past few years. 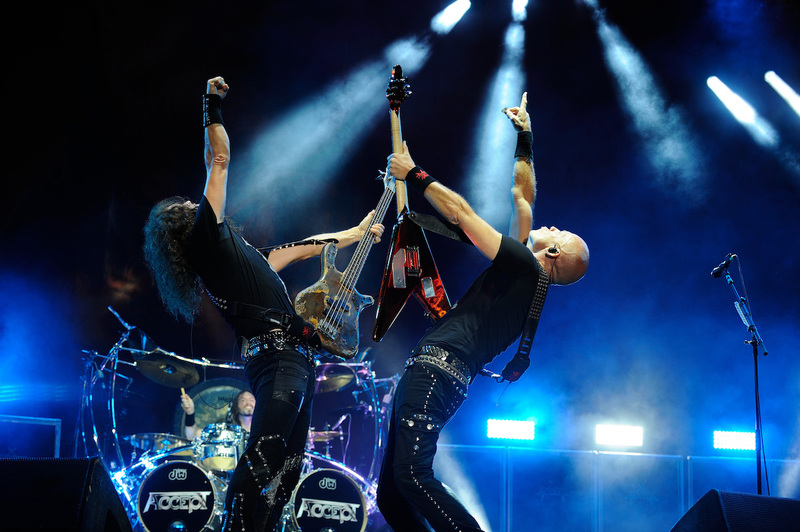 The camera focuses on Accept for the majority of the DVD, with a few flashes to the crowd to show how truly monumental the audience is at this festival. Although the crowd isn’t visually acknowledged too often, they are heard through the thunderous applause and can be clearly heard singing along during songs like ‘Princess of the Dawn’ and ‘Fast as a Shark’. Similar to the CDs, the DVD has crisp and polished sound, and just to clarify, the content on the DVD and CDs is from different recordings, and the CDs aren’t simply an audio version of the DVD. 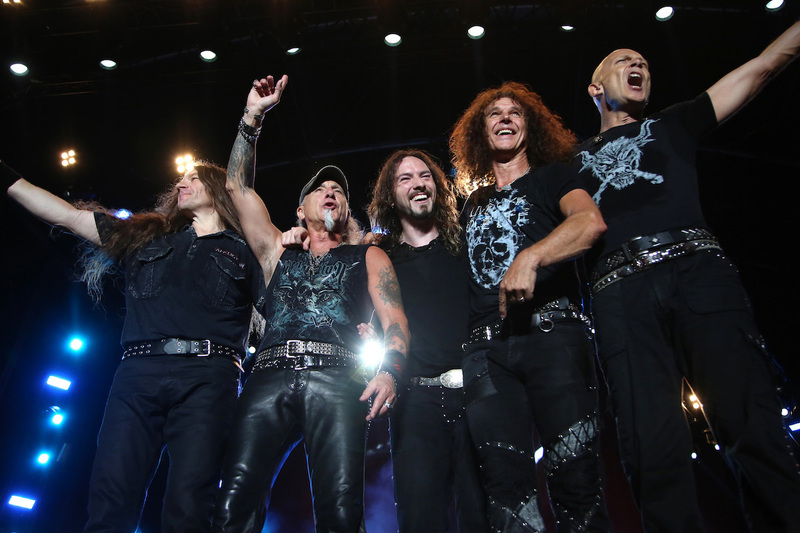 The band opens the filmed concert performing ‘Stampede’ off ‘Blind Rage’, and one similarity to the CDs is that the setlist is about 50 per cent Tornillo-era Accept and 50 per cent Udo-era Accept. Peter Baltes and Wolf Hoffman are often shown playing side by side and completely in sync, perhaps as their way to display their brotherhood as the two founding members of Accept. Overall, the DVD provides fans with the live experience that is Accept – ripping guitar solos, a good variety of songs from both eras of the band, excellent vocals and immense crowd participation to top it off – while the CDs create a similar feeling, even minus the visual.